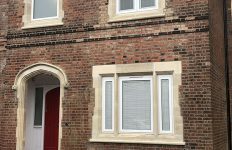 More than 700 frames of Deceuninck’s 2500 chamfered windows have been installed in a development of luxury apartments in Southampton. 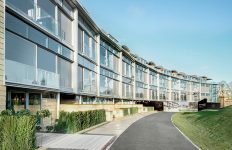 Alexandra Wharf is a collection of two and three bedroom, stylish water-front apartments, forming part of the Ocean Village development at the city’s marina. 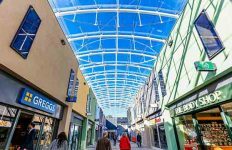 Although aluminium profiles were originally specified, Deceuninck fabricator Dempsey Dyer worked with contractor Bouygues to customise the specification to allow the use of sustainable PVC-U. 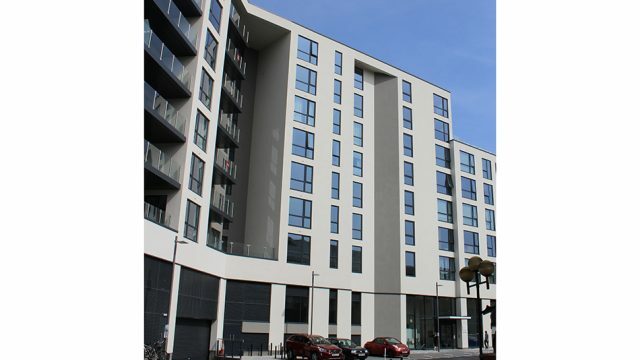 The contemporary look of the 2500 chamfered series closely mimics the look of aluminium – so closely that at street level it’s said to be impossible to distinguish the PVC-U in the apartments from the aluminium used for the Harbour Hotel next door. The building also called for 150 sliding doors and Dempsey Dyer and Bouygues opted for the clean lines of Deceuninck’s Slider 24, which suited the contemporary design. It’s also one of the highest performing doors on the market for weather, water tightness, and security. All 150 doors and 700 windows were externally finished in Anthracite Grey Smooth Foil on white PVC-U internally. The harbour location and design of the building posed several technical challenges. The high rise nature of the apartment building design required strong windows to withstand high wind and water pressure – a challenge easily met by Deceuninck’s 2500 window with its Class 4 air permeability, Class 8A water tightness, and Class A5 2000Pa exposure. The high salt content of the sea air also required special consideration. Austenitic hardware was required to combat the corrosive effects of salt water and all the hinges and screws used in the project have a TRICOAT surface, treated with a top coat containing a micro-corrosion protection system. 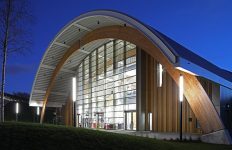 The seaside location also meant the windows required a low solar gain and the 0.28 G-value of the 2500 window ensured that the building would not overheat.